Hop breeders be warned: Brooklyn Brewery’s Brewmaster Garrett Oliver will stalk you to an Applebee’s to secure the unique hop variety he wants. Just watch the video above. He explains how Brooklyn Brewery finagled 1,500 pounds of the newly-named “Equinox” HBC 366 hop to use in Brooklyn Scorcher #366 (a very tasty summer pale ale) after four pints at America’s neighborhood grill and bar. 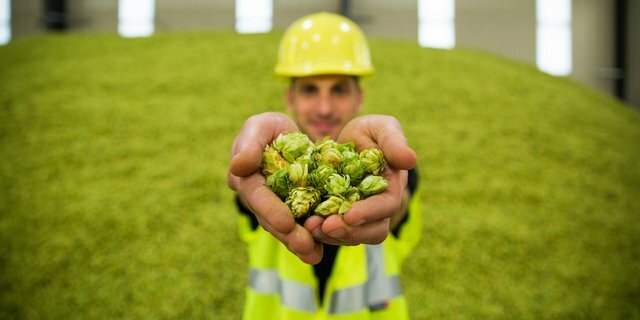 HBC 366 is the latest varietal release from the Hop Breeding Co., famed breeders who gave us Citra YCR 394 cv, Mosaic HBC 369 cv and Simcoe YCR 14 cv hops (it’s a joint venture company between Select Botanicals Group LLC and John I. Haas). This once nameless hop finally got its moniker last week — dubbed Equinox. Since its founding in 1988, Brooklyn Brewery has brewed flavorful hop-infused beers that “enrich the life, tradition and culture of the communities it serves.” Its award-winning roster of year-round, seasonal and specialty beers have gained the brewery notoriety as one of the top craft beer producers in the country. Now, listen to Oliver explain how the NYC brewery created one of its most interesting brews with this popular new breed in hop varieties. loved citra, mosaic, but it is the age of Equinox people!!! !